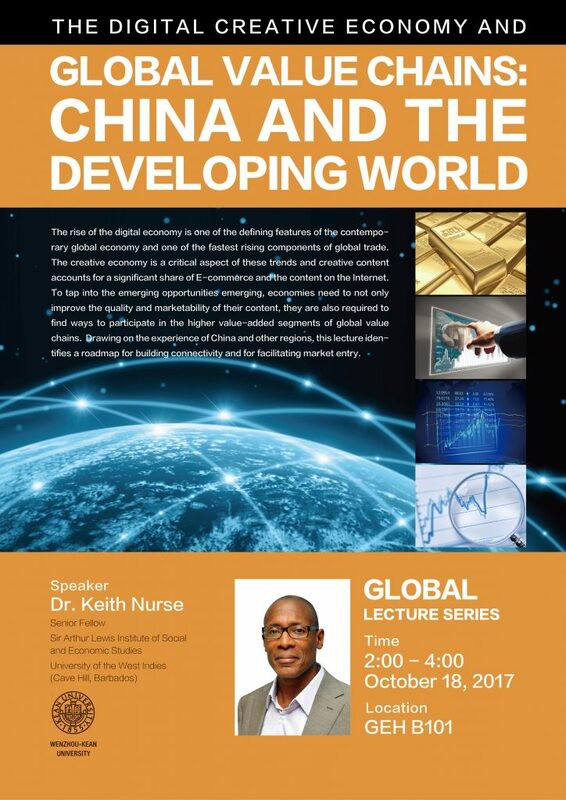 Global Lecture Series, Wenzhou-Kean University, China. Presented to students and faculty at the Wenzhou-Keane University.The rise of the digital economy is one of the defining features of the contemporary global economy. It is also one of the fastest rising components of global trade. Drawing on the experience of China and developing country regions like Africa and the Caribbean the paper identifies a road-map for building connectivity and for facilitating market entry. As such, the aim of this paper is to identify mechanisms to strengthen the export capabilities and increase the participation in global value chains. The focus will be on trade support programmes that target industrial upgrading and enterprise development.